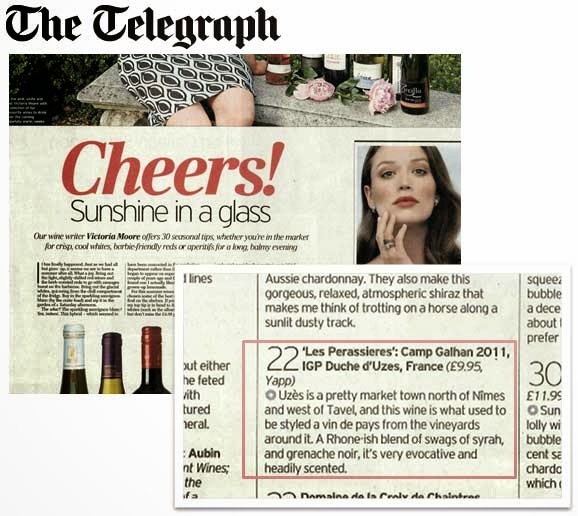 "Wonderfully juicy and freshly fruited ..."
and finishes with outstanding concentration mineral, meat and stony elements"
Duché D'Uzès "RIPA ALTA ROUGE"
Bordeaux is one of the most important wine regions in the world and the largest top quality wine region in France. It does not only consists of 'classified wine' estates but also of small wine makers who produce very fine quality wines, including Red, Rosé, Dry white, Sweet white, and Sparkling wine. >>Full-bodied, deep and generous wines with intense fruit flavors....the art of the assembly: The predominant grapes in Bordeaux are Cabernet sauvignon, Merlot and Cabernet franc.
" 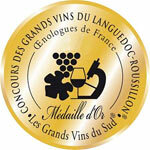 GOLD medal: Challenge International du Vin "
Mouth full. Impression of biting into a freshly picked grape! 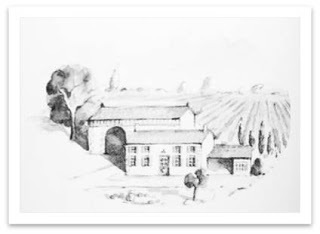 The Boule family has been taking care of vineyards for several generations. The vineyards spread over the Bordeaux region and Cognac region. They use sustainable agriculture and environmentally friendly farming practices in this privileged location to produce high-quality wines and spirits. HongKong was the guest of honour in 2012. 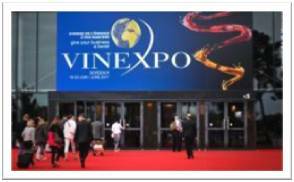 Now it is Los Angeles who will come to Bordeaux as a guest to discover the next bordeaux wine festival. The Decanter World Wine Awards is the world's most prestigious and trusted wine competition, giving authoritative recommendations to wine lovers worldwide.Its unrivalled reputation means that consumers and trade around the world use the results to discover the world’s best wines – whatever their budget, whatever their preference. 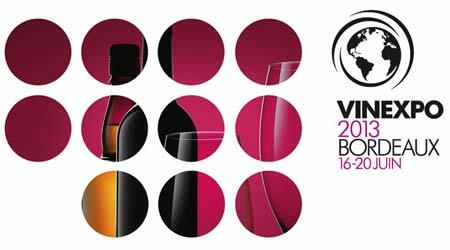 Côtes du Roussillon Red 12 month's ageing "Silencio" 2010 : Decanter World Wine Awards Commended. 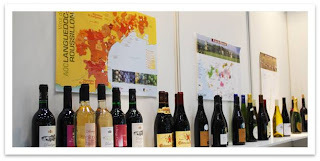 Each spring, more than 4,700 wines from 38 countries are tasted in Bourg (Bordeaux – France) by some 800 wine professionals and expert wine-loving consumers. The Challenge International du Vin is the longest running major international wine competition. 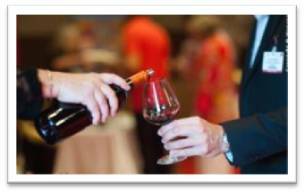 It is also the largest international wine competition held in France and certified to ISO 9001 (version 2008), a certification which testifies to its established high-quality approach and the application of rigorous technical standards to its organization. The city of Mâcon (in Burgundy) carries the world’s biggest wine competition (Concours des Grands Vins de France) with more than 2000 wines tasters from all over the world that judge about 10 000 samples. (11048 sqmples in 2010). They award the famous gold, silver or bronze «badges». The general agricultural competition is organised under the control of the Ministry. It takes place at the Porte de Versailles in Paris - France. 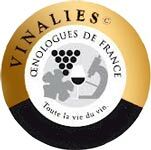 Vinalies national famous wine competition organised by the French Union of Oenologists. 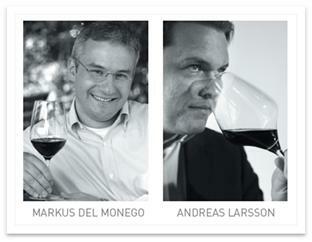 The tasters are all oenologists who are specialised in wine tasting. 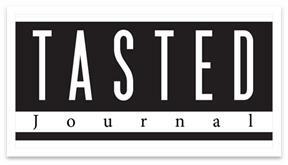 Its legitimacy is undisputed and this contest is well-known to be reliable in the wine industry. Wine experts from around the world (winemakers, sommeliers, restaurateurs, wine merchants, journalists, importers, oenophiles ...) meets in Burgundy to taste the best wines of Burgundy and Beaujolais. 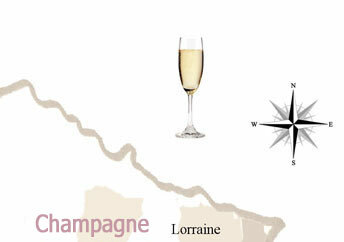 (AOC, White, Rosé, Red, Sparkling wine of Bourgogne, & 10 crus of Beaujolais) The wines are tasted blind. Burgondia d'Or (GOLD) guarantees the quality to future buyers. 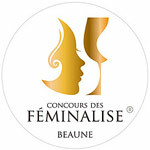 The official and only competition focused on Beaujolais and Beaujolais Villages Nouveaux wines. Wines are only tasted by women (professionals or wine lovers) who know how to appreciate all the styles and local characteristics of the various wine growing regions of France. THANK YOU ALL FOR COMING - Visit us again in our next events. 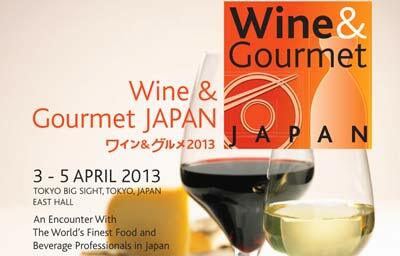 "The widest range of wines and spirits, food and beverage, food catering, food service products and services ever to be shown at the trade fair to over 65,000 professional visitors, from all over Japan"
Japon a importé un total de 81 milliards de dollars de produits agricoles en 2011, + 23,2% par rapport à l'année précédente..
and pleasant Vin de pays(IGP). 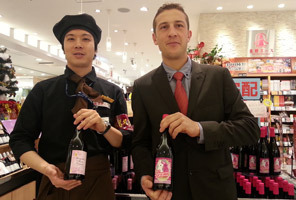 Domaine Bulliat, from Beaujolais region, participated in the France fair held in Ishinomaki (Miyagi, Japan). 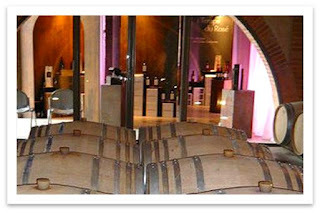 France fair was held on the occasion of Beaujolais Nouveau 2012 release day. The huge tsunami following the March 2011 earthquake damaged lots of fishing ports in seven prefectures, including Iwate, Miyagi and Fukushima. Ishinomaki was famous for its production of oysters, which helped france when oysters of France was nearly extinct due to the virus. 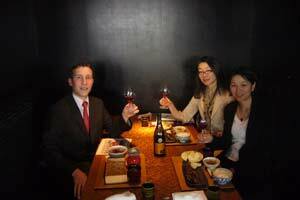 After the tsunami, Ishinomaki recieved relief and aid from France to support the reconstruction. We wish these regions will recover as soon as possible. 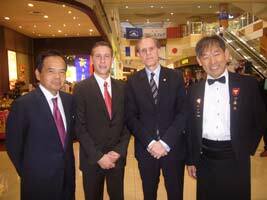 With the French ambassador in Japan Mr.Masset, President Aeon Mr.Okada, and a sommelier Mr.Takano. A trade show focused on buyers of quality imported products and not Chinese made food and beverages. 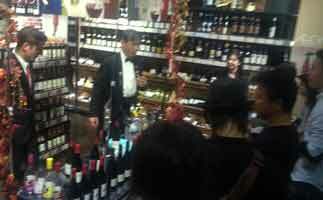 Including specialist sections and events for Wine & Spirits, Tea & Coffee and Meat. A blend of 80% Grenache and 20% Syrah that‟s aged in foudre and barrique, the 2010 Domaine Comte de Lauze Châteauneuf-du-Pape is a delicious, classy wine that yields traditional, Provencal aromas of garrigue, pepper, sweet cherries, and hints of green herbs, medium body, juicy acidity, and excellent balance. It is what I would call a workhorse Châteauneuf-du-Pape and is a character-filled effort that will drink well for a decade. Much more modern in style, yet also richer and more concentrated, the 2010 Domaine Comte de Lauze Châteauneuf-du-Pape Réserve de la Comtesse is a blend of 60% Grenache and 40% Syrah, where 20% of the Syrah is aged in new oak. 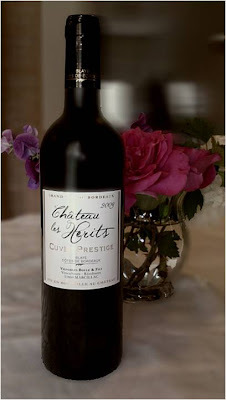 Offering up a rich, full bouquet of vanilla-laced black cherries, pepper, plenty of garrigue, and sappy flowers, this full-bodied wine has excellent acidity, a pure, focused texture, and chewy tannin. It needs air to show at its best, so decant if drinking anytime soon. It will benefit from 4-5 years of bottle age, and drink well for over a decade. What motivates us are healthy products, quality and the love of a job well done. 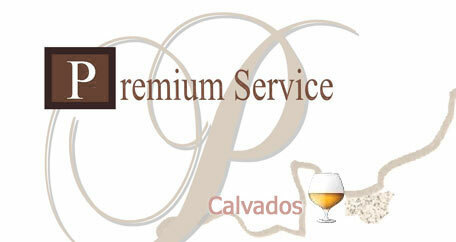 Feel free to come and taste our wines. 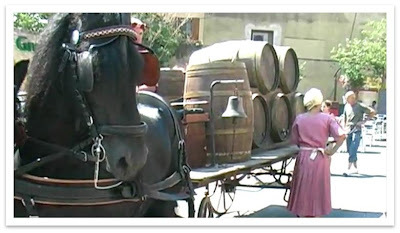 32nd "Fête des Crus" in Villié-Morgon, 28th and 29th April 2012. Numerous entertainments throughout the event. TASTINGS OF THE TEN BEAUJOLAIS CRUS. Guizhou is famous for its Karst physiognomy and its rich revolutionary relics.Guizhou has the largest waterfull in China, Huangguoshu Waterfall. Dragon Plalace, near the waterfull, is a famous karst cave. Another cave in the area, Zhijin Cave exhibits almost all forms of karst caves found in the world. A subtropical ecosystem is well preserved at Mount Fanjing National Nature Reserve, which is included in the UNESCO's World Networkd of Biosphere Reserves. There are many different minorities, 17 of which have been living there for thousands of years. Throughout the centuries, people and nature have living together harmoniously. The way of life and production of each minority contains ancient and profound historical tradition and diverse original eco-culture, making this place truly a colorful Guizhou. 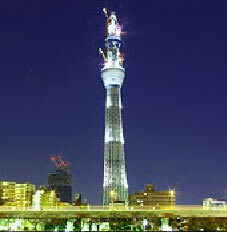 Temperature: 3 ~ 6 ℃ in January and 22 ~ 26℃ in July. Agriculture & Industry : Rice, corn, wheat and potatoes. The alcohol and tobacco producing are important light industries in this area. Maotai, called national liquor of China, is produced in this area. Industry : A production base in Southwest China of energy, machinery, raw materials. 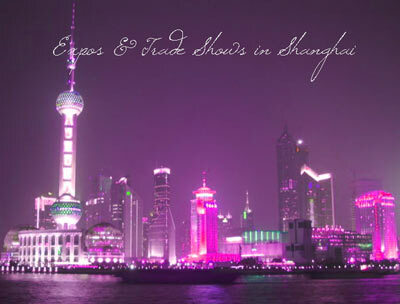 One of the most important platform for Chinese and international producers, exporters and traders. Veraison means, literally,the turning of color. The Véraison starts a few weeks before harvest when the grapes begin to ripen. 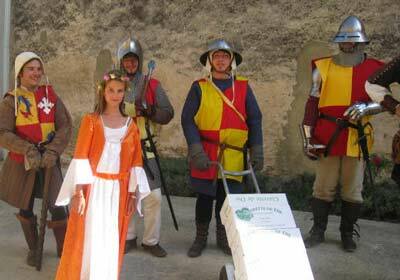 The grand medieval "Véraison wine festival" is held every first week-end in August with medieval music, dance, a tournament of knights on horseback, many other street performances, and wine tasting. "Die Leitmesse der internationalen Wein- und Spirituosenbranche vereinte in drei Messetagen 3.930 Aussteller aus rund 50 Ländern und deutlich über 40.000 Fachbesucher aus aller Welt."